No. 6, Jalan Wawasan 1, Kawasan Perindustrian Sungai Kapar Indah, Batu 6, Jalan Kapar, 42200 Klang, Selangor, Malaysia. 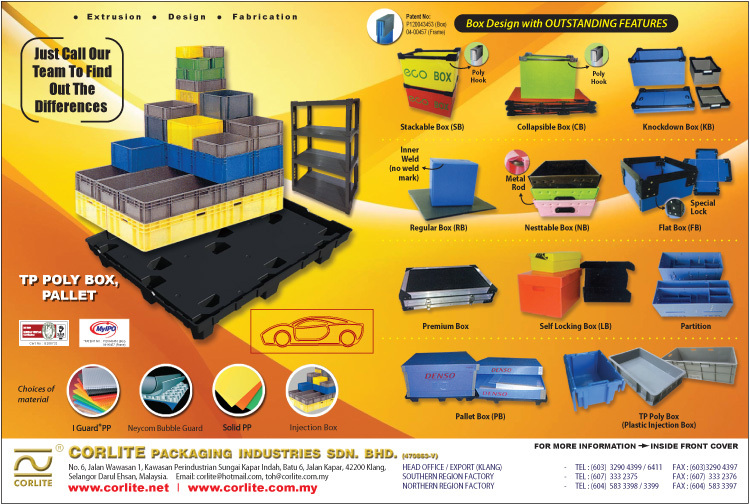 Established in 1998, Corlite Packaging is the largest manufacturer of Corrugated Plastic Sheets in Malaysia. 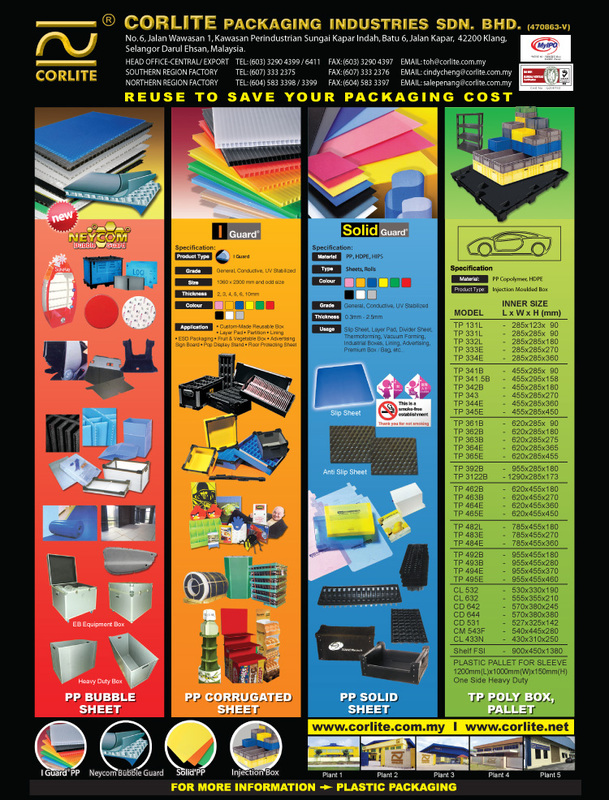 We control the sheet extrusion quality, box & article design and development, advance box making process and prompt delivery schedule to meet every aspect of customer requirement. In order to serve the higher quality requirement from customer, we introduce the PP Bubble Sheet extrusion line, first in South East Asia, for better impact strength, equal bending strength on width and length, tear resistance and smoother surface. Furthermore, in order to offer more choices to our customer, we diversify into solid sheet extrusion lines including PMMA (Acrylic), HIPS, PC and PP Solid Sheets.